Oil-lit braziers light up pockets of the night throughout this bustling city, though you can find quieter nooks in the hallways. A winding stream of water, sourced from the very top of the hill, cascades sinuously down each terrace until it pools into a pond at the base of the city that sparkles with glowing tealights. The moon peeks mysteriously from behind the sleek rooftops, accompanied by glints of starlight. Upload portals for players' Dreams are neatly tucked in the doorways behind curtains. Earn cookies, the local currency, by completing quests for the guards and other denizens. Then you can spend your winnings on many luxuries, such as magic carpets and pillows, at the Bazaar and elsewhere! Only the most well-dressed denizens of Kasuria visit this area of the city. Everywhere you turn is extravagantly decorated and lush. Fires and lamps illuminate the polished floors and walls, which gleam white even under the moonlight. Golden doors shine as the epicenter of the courtyard, well lit by oil flame. Visiting in the courtyard are Kasurian noble dignitaries, including representatives from the Rodents, Equines, Canines, Rodents, and Felines. 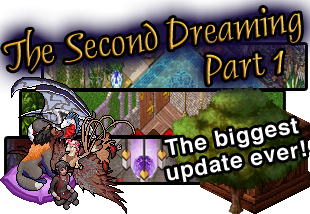 Behind the doors is the formidable Furrabian Palace, which is an AO area for others to upload Dreams that only Adult Verified players can access. Quest - Earn cookies by helping Ar'Ron! By far the most lush and verdant area of the city, the Hanging Gardens are any lover's paradise. Near the entrance is the Wishing Well, which records the longing thoughts of any who once dropped a cookie in its depths. Climbing the vines of the buildings will reveal a romantic, moonlit sky and sprawling leagues of city lights beyond. Many couples have been known to engrave their names along the side of a tealight, and afterwards release it together into the channel of water where it springs from the lion gargoyle's mouth. Place a Tea Light in the water with F2 to watch it bob all the way down the river! 1 cookie - Leave your deepest wish at the well and read others' wishes! A relic of the past, the Truth or Dare pool is one of the oldest and quietest areas of the city. True to its namesake, many Furres have been known to play an enjoyable round of Truth and Dare in this area. Near the calm basin of water are tables with dessert, henna, and other delicacies. Laughter fills the room, with lots of Furres enjoying the steamy baths and frothing water of the hot baths. The night sky provides a refreshing cool breeze, accompanied with wafts of scented oils and perfumes. This area is filled with players searching for roleplay and the chance to meet others, enjoying a game of blackjack or a cup of spicy tea. Set your status when sitting on one of the seats to let others know more about what you are looking for so you can connect with someone new! Use F3 on a seat to cycle the options and set your status! Over here are luxurious, plush pillows stacked high throughout the room, making this area one of the most comfortable in the city. Fragrant hookah incense wafts about, filling the air with shimmering, multicolored haze. Live dancers move sinuously to entertain all who bask here. Sit and face a Hookah, and if you have catnip, you can fill the air with colorful vapor! This tavern has a rich atmosphere with its glowing, multicolored glass lamps, accompanied by a sultry dance show. At the bar you can order hot food and the most famous drinks in the city, including favorites such as Pongo Wine and the pirates' Musteline Rum. Bump the bar table from behind the counter to serve drinks to guests as a bar-furre! This sector of the city is alive with the shouts of Furres selling their own wares on the streets. Many master Craftsfurres are seen constantly building, tinkering, and polishing their crafts. Though older, cracked, and dirtier than the upper tiers, the Slums are so populous that often Furres find themselves having to shout in order to be heard. At the edges of the city, Ferians rest about the pond and take shelter beneath the date palms and in the stables. Beyond the city wall is the quiet desert. Access to the older Furrabian Oasis, an A18+ area, can be found through the giant gates that lead out of the city. By far the most crowded area of the city, the Bazaar is constantly bustling with activity. Browse the many different stalls to find whatever suits your fancy! Quest - Earn cookies by helping Hallinskioi! 1 cookie - Experience the sensations of a plethora of spices! 1 through 20 cookies - Buy from a range of personal pillows to sit on throughout Furrabian Nights! 3 through 7 cookies - Wear a costume to fit in seamlessly with other city dwellers! 15 cookies - Buy the coveted flying carpet and never have to touch the ground again, wherever you go! Quest - Earn cookies by helping P'aye Duth! 5 cookies - Summon your own personal dancer to impress your friends! Digo Market - Buy roses and gifts for friends! 1 cookie - Donate a cookie to the mesmerizing snake charmer! 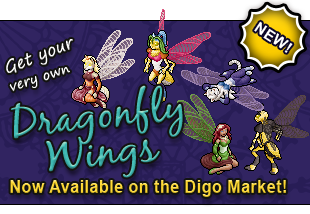 Digo Market - Gather refreshments to share with friends! 1 cookie - Purchase a tealight to set loose on the river! 1 cookie - Buy some catnip to use in any hookah of your choice! 5 cookies - Purchase a collar and a leash to use in Peristane's Auction! Kasuria's most well known underground market: Peristane's Auction. A crumbling stage, which sometimes serves as an auction block, stands in the center of the hall. Chain yourself to a post or use collars to leash any other Furre chained up among the posts and lead them about as your prisoner. Use F3 while chained on a post to cycle the options and set your status! Use a collar from Madam Tamara's stall to leash anyone chained up on a post and drag them wherever you want! One of the most shabby areas of Furrabian Nights, the Streetrat corner is a back alley home to the most secretive of Furres. Many find this place the best to strike deals with others undercover. This sector of the city is filled with more general disarray and largely peasant-Furre life. Two large fires glow in the center of this area, surrounded by red cushions. Sometimes birds can be found nesting among the rooftops. The river finally winds to an end, forming a pond which many Ferians rest near. Here you can use Suffrith's Transmogrifier to risk a cookie and see what comes out of it! Outside the large gates is the desert lying beyond the city, known as Furrabian Oasis, an A18+ area. Quest - Earn cookies by helping D'De! Want to download the patch artwork from FurN? You're more than welcome to use it in your own dreams however you wish!